Most people in East Ghouta, Syria live underground. Medical care is increasingly provided in basements. What is happening there cannot bear the light of day. 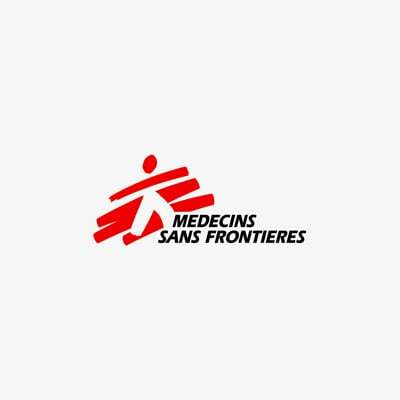 I recently spoke to one of the directors of a hospital MSF has been supporting since 2013 in East Ghouta. The discomfort of sitting in a safe office in Brussels grew as she described the detail of her and her colleagues’ struggle. This young, confident doctor explained that the last five years of siege and on-off bombing and shelling have been very difficult, but nothing compared to the last month. She admitted that she could scarcely find words to describe the situation. Her hospital has been converted from a five-floor building, but nowadays they can only use the basement, as they feel that may offer some protection in the case of a shell or bomb strike. In their basement they have set up several Operating Theatres but the nearest Intensive Care Unit is several kilometres away and the road is too dangerous. The doctor told me about a bombing the previous day, close to the hospital. Seven dead, of whom three were children, and 30 wounded patients were rushed in. When we spoke, she was completely exhausted. She and her colleagues had done 17 major surgical operations in the previous 24 hours – including general, orthopaedic and vascular surgeries – with limited equipment and supplies. I asked how the patients were doing, and she told me one of her patients had died. But not all was bad; the other 16 patients were stable. She told me how blood transfusion is one of the biggest problems. The central blood bank is just seven kilometres away, but with the intense bombing and shelling it might as well be 70 kilometres; they cannot get there. In her hospital, this doctor can only do the most basic checks prior to transfusion, and they are running out of blood bags. Most of the residents have taken to living underground in basements or makeshift dugout shelters; enclosed spaces with extremely unhealthy living conditions. But the doctor said that she has had to reduce normal consultations to a bare minimum, to maintain the capacity for critical cases. The conduct of this battle and its impact are extraordinary. During the first two weeks of the offensive, more than 300 wounded and more than 70 dead were brought every day to the MSF-supported facilities, day after day. Fifteen facilities that MSF supports in the area have been hit by bombing or shelling. Four of the medics we have been supporting have been killed, and 20 so far have been wounded. While the total-war reality seems clear, some of the details are less clear. But they point to the conflict not only being big, but also very dirty indeed. We cannot verify the details of the patients brought for treatment to one of the facilities we support with breathing difficulties and symptoms that could be consistent with exposure to chemical agents. And we cannot verify the stories of the gunshot-wound patients treated by the medics we support, who say they were targeted inside the opposition-controlled area by snipers. What we can do is continue to try to ensure the most effective possible use of the remaining pre-positioned MSF medical stocks in the enclave, even though these are running lower every day. And we can repeat our pleas to the warring parties and their supporters that the civilians trapped inside East Ghouta are neither legitimate targets, nor expendable objects in the pursuit of military victory. They should not be used as pawns by the opposition groups or as justification for the military campaign by the Syrian led coalition. These doctors and nurses are running on empty, but they are still doing their work as well as they can. This should humble all of us. I am running out of words and I am left relaying the clear message I heard from the dark and the fear of the hospital basement; this has to end.